Referring new affiliates and customers to SFI is only half of the battle. It is a true fact that many new affiliates will join SFI and then bookmark the affiliate center with the intention of “getting around to it” at a later date. On many occasions these people never do get round to it and so you end up with a list of inactive members in your downline team. Some people will take a look at SFI, decide there is too much information or not what they expected and quit. Many of these affiliates quit because their sponsor is not making any effort to support them. Your role as a sponsor is to encourage your team to take the necessary steps to build their business by showing them what to do and offering them your full support. You should also share with them your strategies to help them build their own downline teams. This way you are “sponsoring” (or helping) them with their own SFI home business. There are many things you can do to encourage them such as regularly replying to their requests for help, sending them messages of praise when they achieve something and sharing hints and tips with them. Regular communication is the key to successful sponsoring. Once you have helped your team members to complete the basics of SFI then it is time to help them to grow their business through using promotional methods. How to actually advertise their SFI business to the world. This is where you teach them to follow the methods you personally use to grow your business. This is called “Duplication”. For example, you may find Traffic Exchanges and safelists are good ways to refer new members. If so then teach your team how to use them. Whatever you do that works, show your team how to do it. Don’t leave them stranded or they will quit SFI. In lesson three you learned how to create an affiliate greeting letter which will be displayed to your new PSAs and CSAs. If you want to help them grow their business quickly and easily with less effort from yourself then you can direct them to this module. This way they get to learn everything you have learned which makes life easier for you and them. Change your affiliate greeting to the following. Welcome to SFI. My name is (your name) and I am your sponsor. I am here to answer any questions you may have and to help you build your SFI business. To help you get started quickly and easily please visit the following website. The way this works is that all your future affiliates will send their affiliates to this module and they will do the same with theirs. This makes perfect duplication with little or no effort on your part. You can access all your affiliate’s information by accessing their profiles. To see a list of affiliates in your team select “Genealogy” from the “Power Tools” menu to access your Genealogy Report. You will see something similar to this screenshot. By clicking on the name or ID of an affiliate you can access all the information you need on them such as their email address, when they joined SFI, which country they come from, how many affiliates they have in their team and how many VP they have earned. You can use this information to help them in different ways. For example, have they set up a standing order? If not then you can email them about the benefits of setting one up. Have they got 1500 VP this month? Encourage them to visit Tripleclicks to earn more Sales VP and become an EA. Movers are affiliates that have logged into their affiliate center within the last seven days. Go to your affiliate center home page and click on the Movers tab. You can access the profile of each affiliate you see here by clicking on their name. Here is an example profile (personal info blacked out). You can mail all your affiliates at once using the mailer feature in the Genealogy Report. In the top right hand corner select the “Send an email/team mail to XXXX affiliates”. This will bring up a mailing box where you can type your message. Note that this goes to all PSAs and CSAs. If you wanted to email all your PSAs or CSAs separately then you can do so by clicking on the “Power Tools” menu and selecting either PSA Mailer or CSA Mailer. You have the opportunity to send the email to yourself first for checking then you get the opportunity to send the message to your team. You can earn Action VP for sending out mail once a week so I encourage you to do so. Creating a list of things your affiliates can do and how to do them is a good thing to do. Always add a welcome message and praise your team for their work. Inform them of any news or good tips you have read. However do not send them affiliate links for other programs as SFI forbids using their mailer for this. Here is an example letter to give you more of an idea. I want to congratulate you all on a great job this week. Many of you are logging into your affiliate centers and earning those Actions VPs. Keep up the good work. I am proud of you all. Remember to do the following things to grow your business. 1. Read all the latest news and forum posts by clicking on the Alerts Tab in your affiliate center. 2. Collect your daily Action VP by clicking all the tabs and clicking on the button at the bottom. 3. Check out the latest bargains at Tripleclicks. 4. Go to the training page and read. You can always learn something new. As your sponsor I am here to help and support you in any way I can. You can email me at (your email address) and I will reply as soon as possible. Read all the mail from your sponsor to give you more ideas. 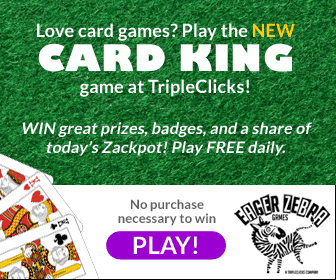 You may write a mini tutorial, talk about the benefits of gift cards or recommend products at the Tripleclicks store. Remember that regular communication is the key to success sponsoring as I said before. If you want to post a brief message to your team then you can do so with a stream message. Select the “Stream” tab from your affiliate center home page and you will see a box where you can enter a message up to 340 characters. Useful for posting short pieces of information. For more information about sponsoring read this article. For more information about duplication read this article.